When trying to think about creative and exciting kickstarter rewards, I realized that Adam has a lot of skill that we totally don't use at Infinitap. His true passion is actually creating masks and miniatures, which you can see on his company website, Murderforge. One of the things we talked about was that Adam could do hand painted miniature bust of a monster from the game. The busts would be created from a mold, which is a time consuming process and then made out of silicone or latex or something. Since it's a lot of work, we hope to be able to create many of them, but they also have to be kind of pricey to make it worth our while to make the mold in the first place. It's a weird situation, and I'm not sure it'll happen, so I wanted to put out some feelers to get the interest level. If we created the bust for $500 and in addition, you got similar rewards to the $350 tier of Neverending Nightmares, would that be interesting to people? Would it be more or less interesting than our previous $500 tier (getting a custom portrait in game)? We'd probably want to price the custom portraits a little higher given that it ended up being quite a bit of work per item. This has the opposite problem where per item, painting them isn't so bad (apparently), but there is a ton of set up, which we would want to amortize over many rewards. I'm not sure what the size of the bust would be. I don't think we could do anything huge because shipping is a pain, but maybe 6 inches high? Obviously this is theoretical since you don't know what our monsters will look like, but I figured it was worth asking to at least get a feel for if that is something exciting or not. Anyway, I appreciate your feedback! Re: Would people want a bust for a monster from the game? 2: it will have a similar black and white/pen and ink motif to it, but in a different art style. which means doing a full on 3d sculpt would bring to light a ton of detail not actually seen in game, or not really detailed in game. whereas that is a nifty perk to have in a sculpture, it is also unnecessary. Doing sculptures in latex or silicone is not the best idea as over time it will dry, crack and generally wear down unless well cared for and protected. Handpainting a 3d sculpt is also time consuming and impractical except for a VERY limited edition of maybe 5-10? even then it's a lot of time spent. I detail all this because in actual application, the pricing you are talking about and the structure you have mentioned previously (that actual COST for physical goods should be 10% of the final price in a best case scenario, or at least I think it was something like that) would not quite work for this. 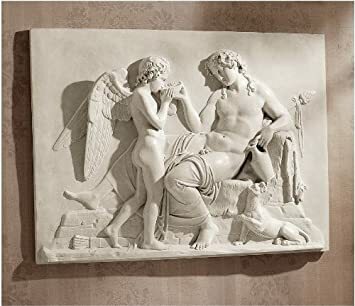 My suggestion: consider doing either a wall sculpture that is like a wall relief of the creature that can be single-sided cast molded into hydrostone, clay, sealed plaster or a similar cheap, pourable, long life material. It would allow you to create it looking very similar to the art of the game, it would be very in line with what Adam's website shows (he does a lot of great textured work, but I am not as thrilled with the full-3d sculpts he did) , it could be hung or placed on a stand, it could be solid, hollow or a selectable thickness to reduce materials and shipping weight, and painting it could be done via only a few inks (black, white and possibly red) and applied with an airbrush and a well designed stencil so it would ultimately mean making a series of 50-100 all signed by the artist, easier to ship, and potentially cheap so the investment tier could be the same or lower. they're still be unique limited edition pieces, but production for them is far more scalable than asking him to do what you said (IMO). As you can see it may not even need to be painted if the texture and relief uses shadow to help create the lines and shading like in the game. And yoiu could also offer the sculpt in a shadowbox frame, mounted, signed and sealed like a museum piece, for those wanting to pay a lil more. This is an interesting idea, and I'll talk to Adam about it, but Adam has been refining his processes for busts, miniatures, and masks for quite a while and knows how to make them of a high quality. Working with unfamiliar materials and processes is a much bigger unknown. In addition, a small bust would use less materials than a 3D relief of an interesting size unless we made it really thin, but then it would crack. According to Adam, hand painting them is the easy part, so a larger run is actually much better. The real time sink is creating the mold and the doing the original sculpt. While I try to stick to the 10% rule, I don't think it's possible for the higher reward tiers in order to make them remotely compelling because doubling your investment only gets you something 10% of your original purchase better. :-/ Keeping the cost down for the $100 tier is more important since we'll always get more backers there. Wow, those masks Adam does look fantastic. The mini sculpture sounds very unique and cool, although personally way out of my price range. I would think you'd be able to snag at least as many as for the customized portrait though? You did like 8 of the paintings right, that seems like a number you could at least hit for a physical tier like this. How many would you need to make it worthwhile? The thing with the portraits was how personalized they were, I'd imagine that made it super attractive as a tier. My personal conjecture would be that the sculptures would be enticing as a collectible and unique physical reward, but I'd imagine you'd need to show a detailed mockup to let people know exactly what it's going to look like. So update - Adam said we'd make them out of resin, so it would last a super duper long time. He said doing a relief sculpture is really hard to pull off, and he has lots of experiences with bust sculptures. Yeah a mock up would be a good idea if we go with the bust. That would be pretty time consuming, but it'd probably be worth it just so we'd have a better idea of the cost of the item. While the portraits were super great, it turned out to be more work than I'd hoped for, so we were planning on raising the price a bit for them. Then we need something to fill in the space, so that's why we are looking at busts. resin- MUCH better choice. fairly cheap and easy to get, possibly a bit tougher to work with and toxic to wield but once it sets he's right, would last pretty much FOREVER. And if you use the right stuff, fairly easy to paint with no fears of cracking or flaking. Doing it 3d is fine. 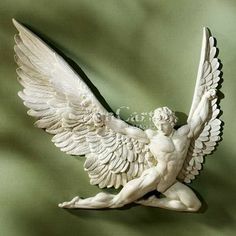 I wouldn't drop $500 on a 6" figurine so when you do the kickstarter I'll just steal the images of the figurine and the demo/screenshots and make myself a relief carving to hang in my house. I have been doing them since like..high school so, no biggee. And don't worry i won't market and sell anything of NeN 2 hehehe.. just do it as my own bit of fan art. Well, it would be $500 for the bust, art book, packaged game, t-shirt, poster, magnets?, and getting your name in the game, so hopefully some people would spring for that. I'm not sure if it'll happen if no one says "hell yes", but I guess we'll see. Feel free to make all the fan art you'd like! i already turned my signature photoshop into a logo t shirt so hey why not make a mess more fan art hehehe. or at least it is still there as a possibility hehehe. hahah Putting it in Doom would be interesting although I'm not sure it would be worth the effort given that I'm not sure how many people play doom mods.